At your core, do you support many of the causes SPJ holds close? A strong commitment to the First Amendment, belief in a free press and the pursuit of transparency in government. If you do, we have the perfect opportunity for you. Join a group of some of our best allies as an SPJ Supporter for just $20. We pledge to do our best to keep you informed on all things journalism so you can help us fight for open records, the free flow of information and ensuring that the American people are well informed so they can make decisions regarding their lives and their communities. 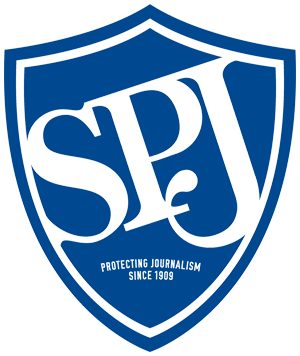 Become an SPJ Supporter Today! A Supporter newsletter. Youll receive a monthly newsletter that highlights current, important journalism issues and keeps you informed on the ways SPJ is improving and protecting journalism every day. Enjoy a reduced member rate for the annual Excellence in Journalism conference. Networking is huge. Each year, we hear that networking at EIJ is the best. Attendees want to network with media law experts, public relations professionals and others like you. EIJ is the perfect place to do that. Join an SPJ Community  or five. SPJ has five communities available to members and non-members alike: Freelance, Digital, International Journalism, Generation J and Rural Journalism. Choose an area youre passionate about and join the conversation! There are so many ways to benefit from and share your knowledge and expertise with SPJ members. Dont forget, you can sign up for AutoDues and pay monthly  only $2.08 per month! We hope youll stand with us in the fight for press freedom and protecting the First Amendment. Its not an easy fight, but we believe its a noble one.